In a career spanning two decades, Mim has become recognised as one of Australia’s pre-eminent and most awarded leaders in marketing. In her role as Suncorp’s Executive General Manager Brand & Marketing, Mim leads Suncorp’s network of brands, which include AAMI, GIO, Apia, Shannons and Vero. 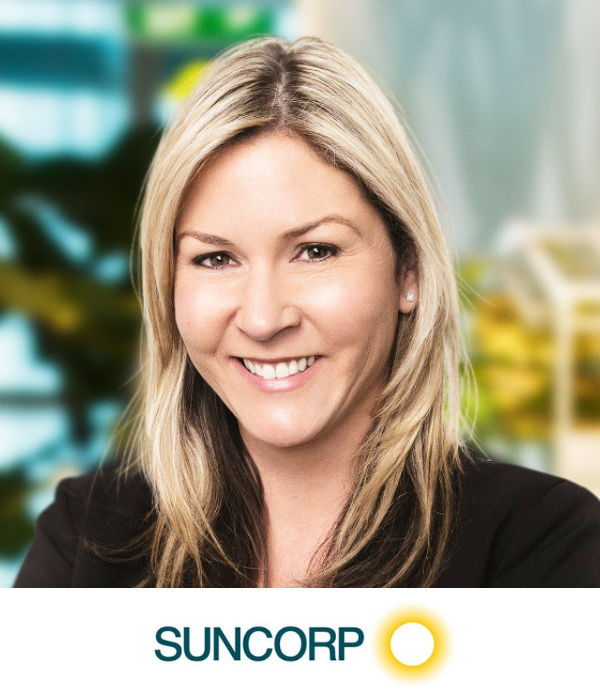 She is also strengthening the Suncorp brand nationally and continuing to build the company’s digital marketing capabilities. Previously General Manager for M&C Saatchi, Australia’s largest advertising agency, Mim has been globally awarded for building the brands of some of Australia’s most recognised companies including Woolworths, Lexus and Optus. In 2017 under Mim’s leadership, M&C Saatchi was named Australia’s most innovative company by the Financial Review. Mim has a strong background in financial services, having led significant pieces of work for Commonwealth Bank, ANZ and IAG. She was pivotal in leading the strategic and creative development of the CAN brand platform. She also set the strategic and creative direction for the global ANZ brand campaign, which saw ANZ’s brand value double from $3.4 billion to $6.8 billion in just two years, rocketing it to the most valuable bank brand in Australia during that time. Mim is known for delivering cut-through creative that delivers results. She is passionate about supporting the next generation of creative leaders and has been recognised as an industry leader for her drive to find new ways to move the industry forward, as well as being an active speaker and mentor. With 12 independent, mainly geo focused brands including AAMI, GIO, APIA and Shannons, Suncorp has embarked on a journey of transforming its brand strategy and connecting the many brands into the one Suncorp Group brand.